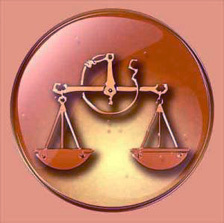 The traditional birthstones of Libra are Opal, Coral, and Lapis Lazuli. Opal is one of the most fascinating and mysterious gemstones. It contains virtually all the colors of the rainbow, which flashes, sparks and flames ocuring as the light plays over the surface. Opal can be defined as a species of soft quartz, where the fantastic play of color is believed to be caused by the special microscopic composition of the stone. 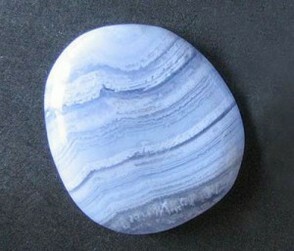 Mexican Opal is more transparent, while its color is less definite. In addition, the famous fire Opals which are of deep red fire-like color also come from Mexico. They can vary in colour from red to a warm yellow. Opals are usually quite delicate when first taken from the mine, but they will harden by exposure. Opals are very brittle and can easily chip. That is why taking great care is essential when cutting these stones, and also care is necessary in setting them for jewelry production. the brow is believed to clear the brain and strengthen the memory. The idea that Opal is an unlucky stone had its origin in the misfortunes that happened to Anne of Geierstein in Sir Walter Scott’s novel, all because her primary gem was a large Opal. Opals, in reality, are by no means doomed stones, at least they are not more unlucky than other stones. Opal is considered a Libra traditional birthstone and basically it is a pledge of friendship. However, some find them less fortunate for any one having Venus afflicted in their horoscope. In the East Opal is looked upon as a sacred stone which bears the Spirit of Truth, and in Ancient Greece this stone was supposed to have the power of giving foresight and the light of divination to its owner, under the conditions that it was not used for selfish ends. It is generally believed that the misuse of Opal’s powers brings bad luck in love, which likely explains why it has been regarded as an unlucky stone if used in an engagement ring. Pliny tells, as an illustration of Opal’s high value, that Nonnius, a Roman Senator, suffered deportation at the hands of Marcus Antonius rather than giving up on an Opal gem he possessed. All Opals are very sensitive to weather conditions, deviating in their luster as a function of temperature. 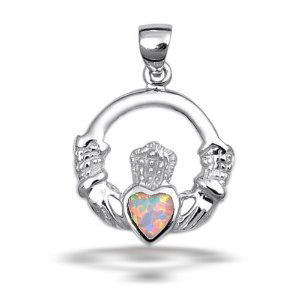 The color of Opal is also sensitive to temperature and moisture. This sensibility of Opals was considered by the peoples of the past to make them susceptible to influences of an mystic nature. For example, when the color of this Libra birthstone was bright and lively it indicated success and good luck to business endeavors or travel, and when the stone was dull and lifeless it was a sign of failure and disappointments. Coral has been classed as a gemstone even in ancient times and by all nations, even though, as it is well known, Coral is the product of a marine animals. Coral comes in many various colors. The most common are the pink, red, and white, and those are the only types of Coral typically used in jewelry. Coral is abundant in the Southern Seas, where it constitutes the huge coral reefs and even coral islands. Coral produced in the Mediterranean off the African coasts was often used for ornamental purposes. It was also used in very large quantities in China, Japan, India, and Persia owing to its talismanic and medicinal properties. The ancient Greeks and Romans highly valued this stone. It was used in numerous ways to cure various ailments. Orpheus advocated the use of Coral which should be powdered and scattered in the growing crops to guard them from locusts, blight, caterpillars, and thunderstorms. Dioscorides believed it was effective against the delusions and hallucinations. The Romans believed it to be particularly favorable for the prevention of diseases of infants. 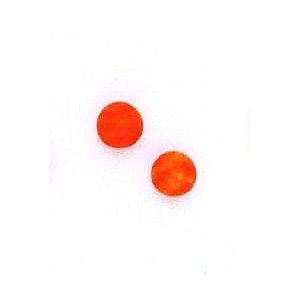 Coral in various forms is being worn as charm against whooping – cough, colic, and teething troubles.